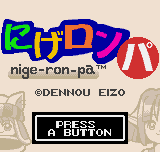 Nige-Ron-Pa is a role playing game for the Neo-Geo Pocket Color. 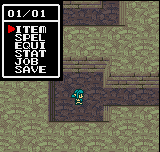 All ingame text are changed, except link-up menu, and names in the ending credits. 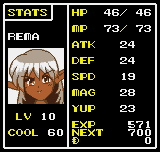 The translation still need to be improved, and the character bio are replaced by generic text. 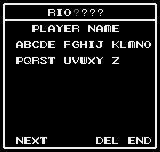 The name input menu should be rewritten to give a better result. Building upgrade menu fixed. In original game, the upgrade price was deduced before upgrade confirmation.